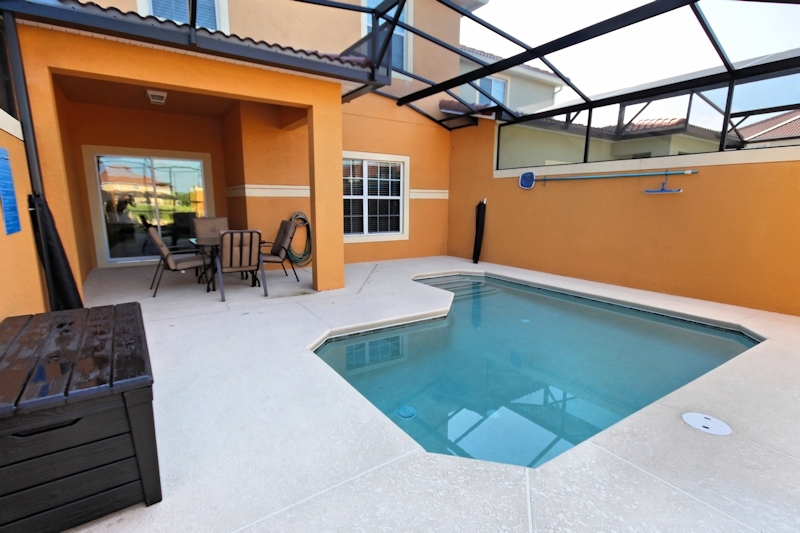 This beautiful four bedroom three bath pool townhome is located in the gated Paradise Palms Resort which offers you the best of both worlds. 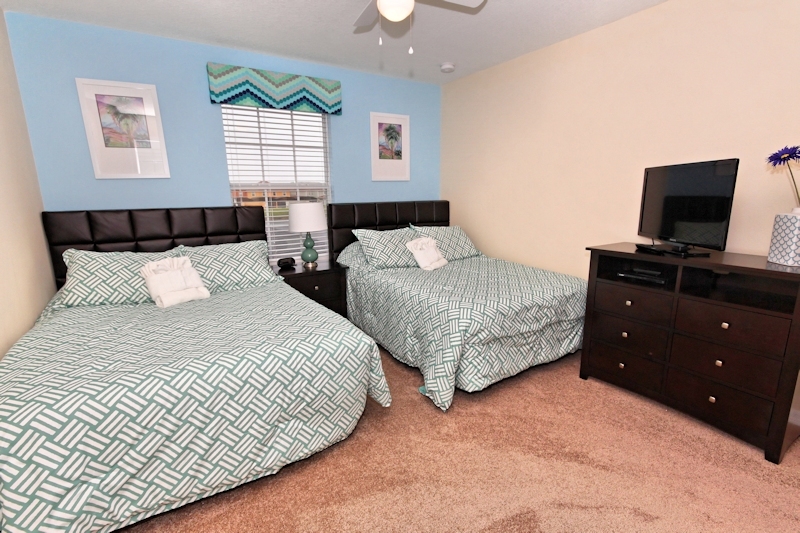 It is set in tranquil surroundings offering you a tropical oasis to lie back in and enjoy the relaxing full service resort environment that caters to your every need, but is also within easy driving distance of the very best attractions around including Walt Disney World which is just 5 minutes away. 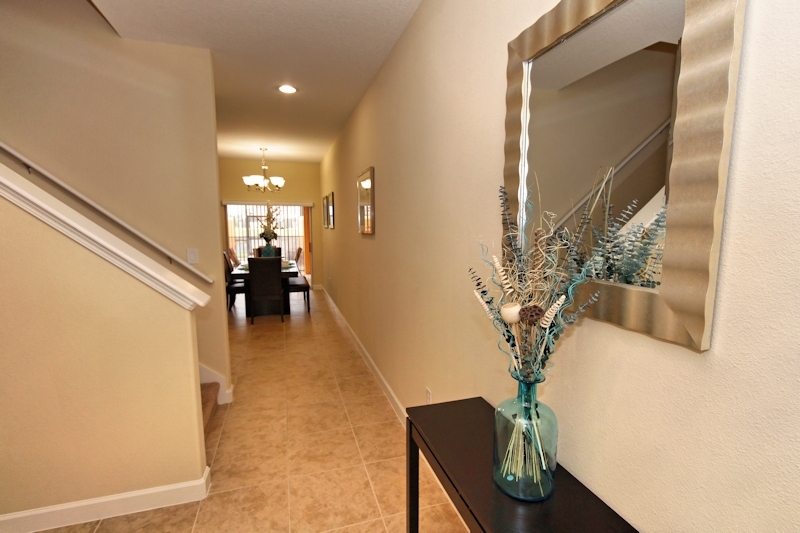 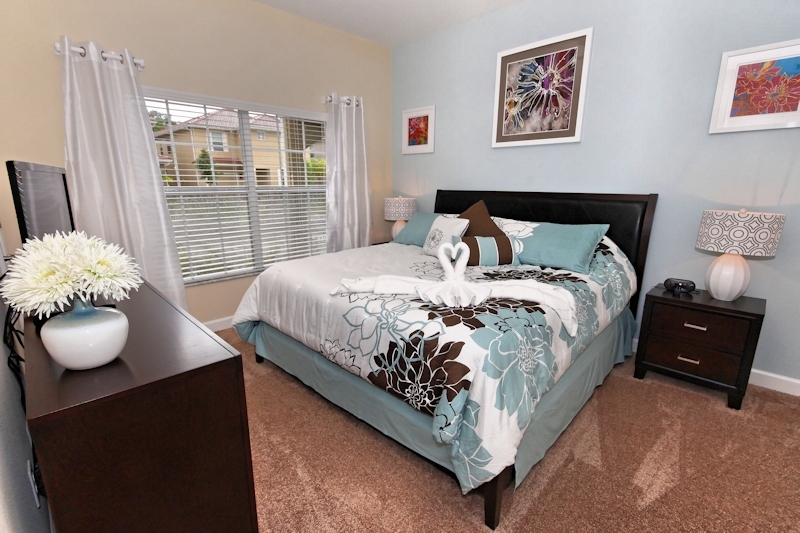 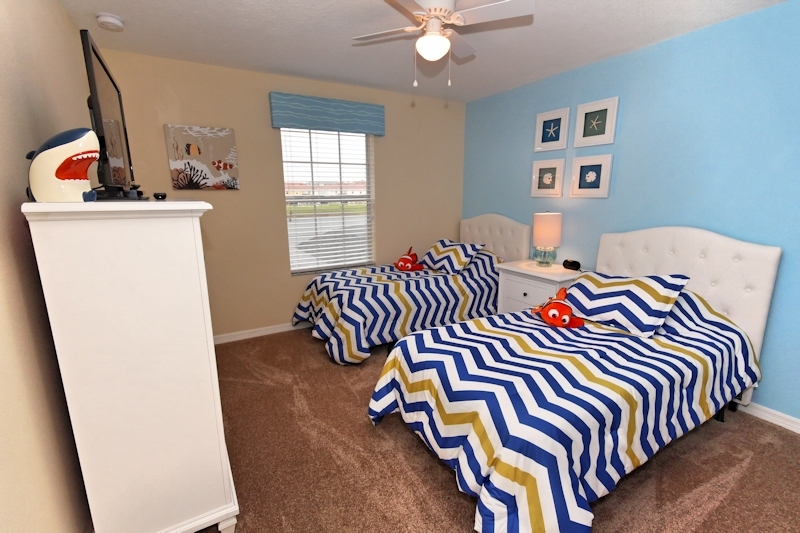 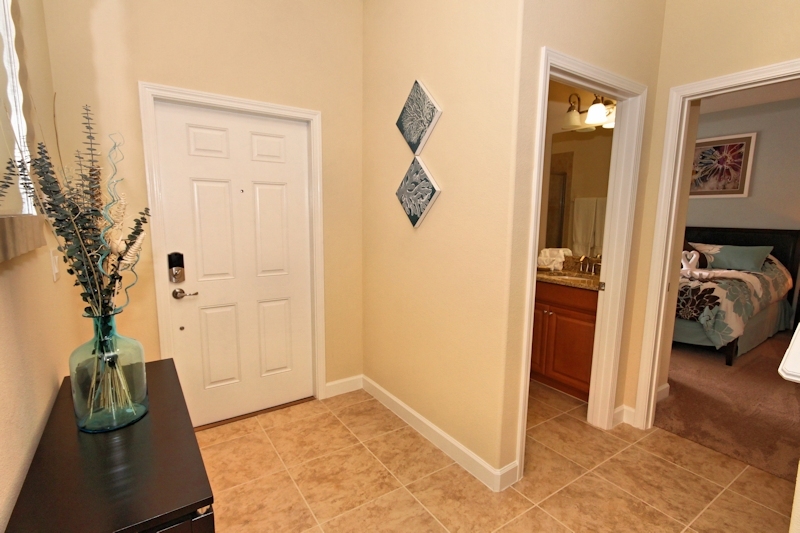 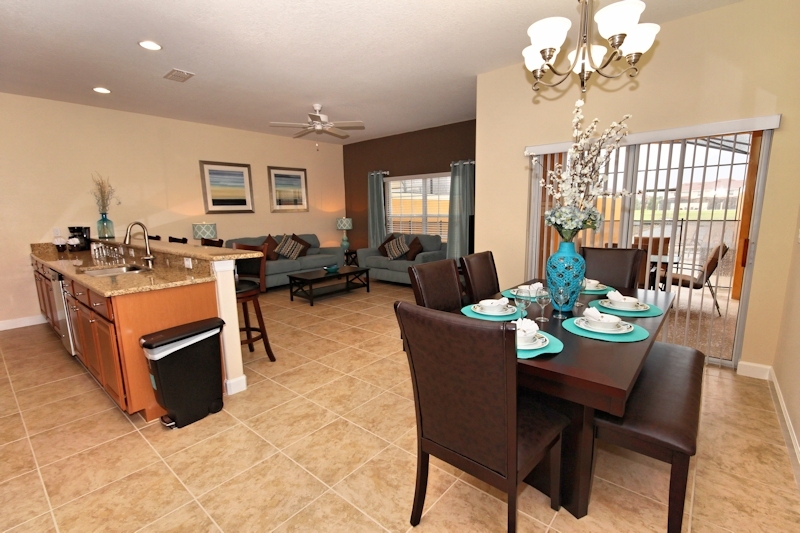 Paradise Palms features a suite of onsite amenities that will help make your holiday complete. 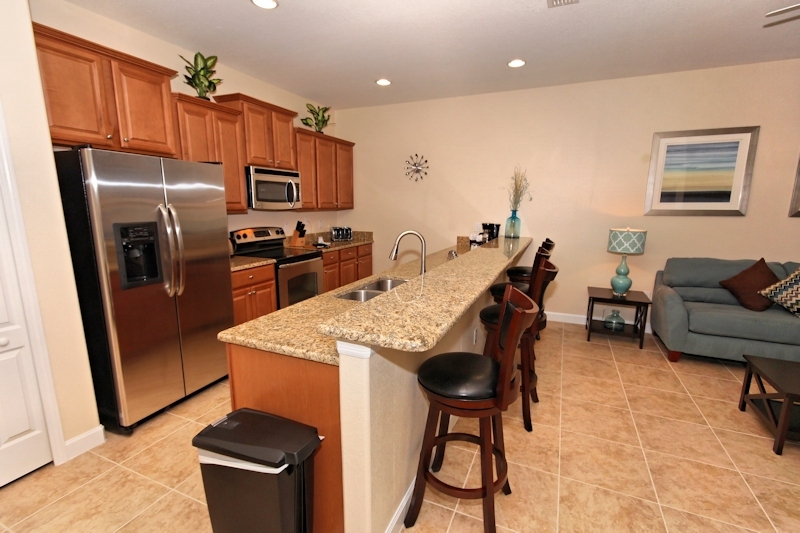 These include a fabulous clubhouse. 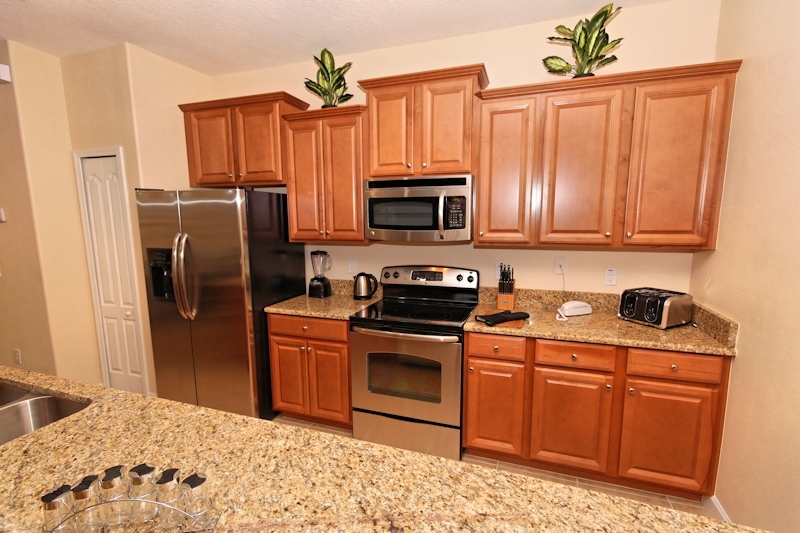 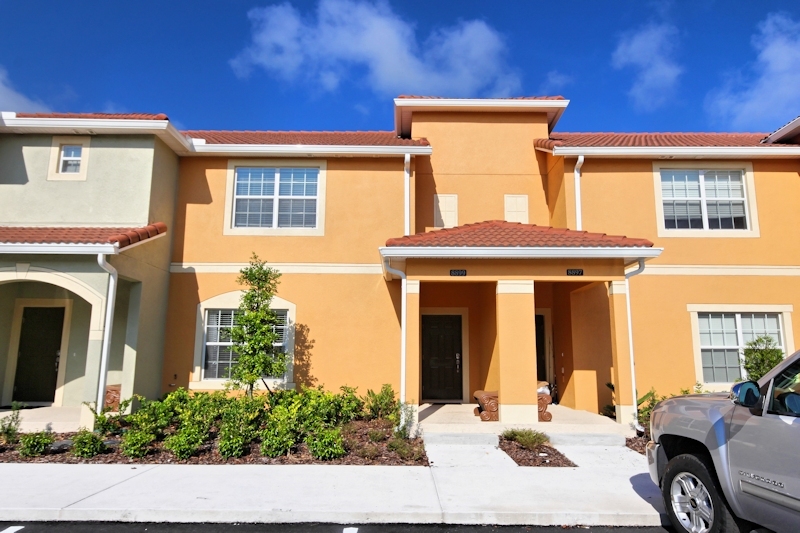 This beautiful four bedroom townhome with private pool features a fully equipped kitchen with stainless steel appliances and marble countertops to create a pleasant experience should you decide to prepare any meal of the day. 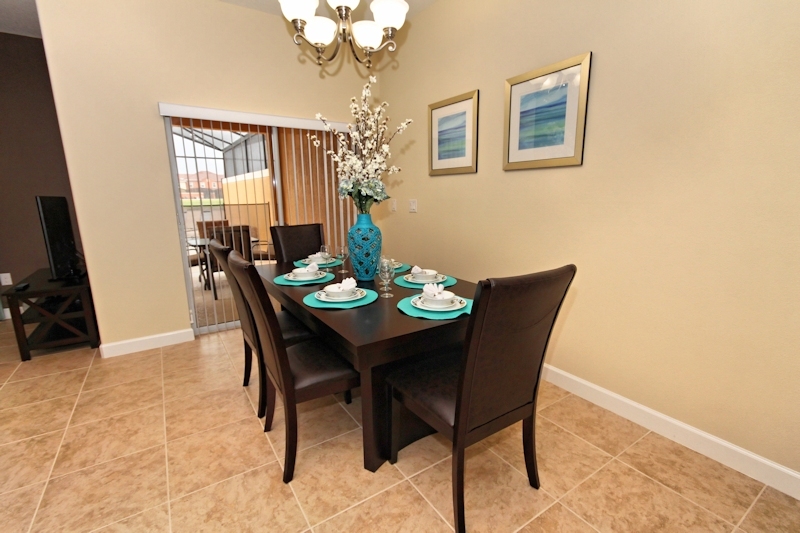 You will find everything you could possibly need to prepare that meal and all the dishes and serving pieces that you will need to present your masterpiece on either the dining room table with four chairs and a bench, or at the breakfast bar with seating for four. 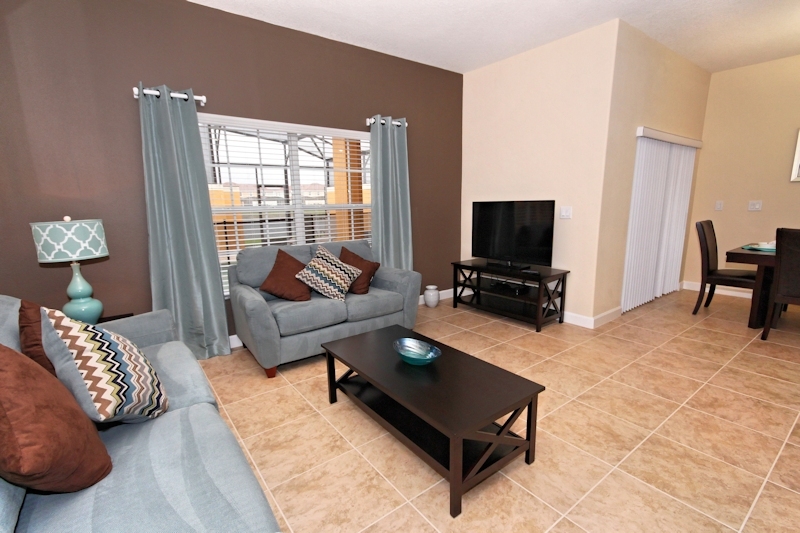 The townhome also features a beautifully decorated and furnished living room with a 50" flat screen TV with smart technology Blu-Ray player. 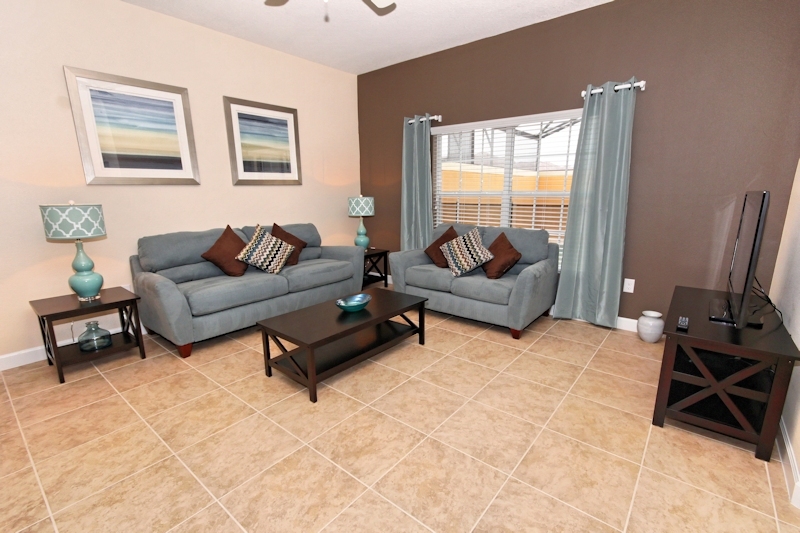 Comfortable seating for relaxation and spending quality time together. 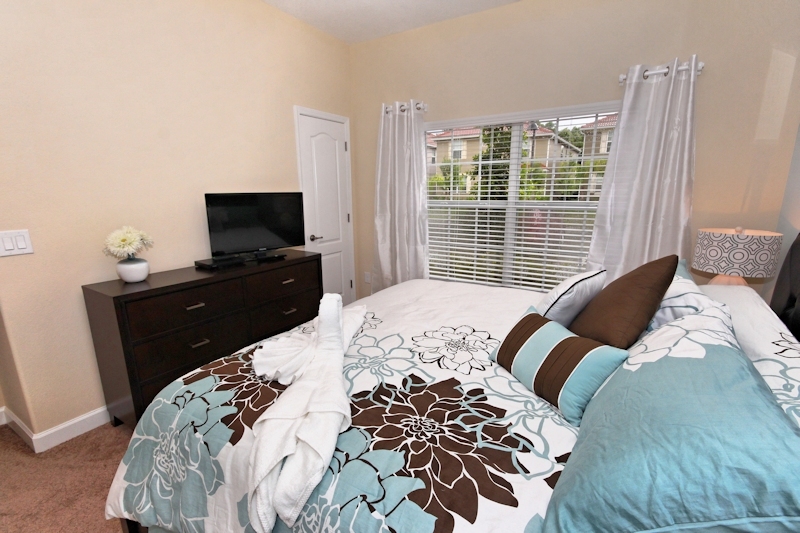 Shades of blue are expertly blended through-out this townhome creating a very soothing calming atmosphere. 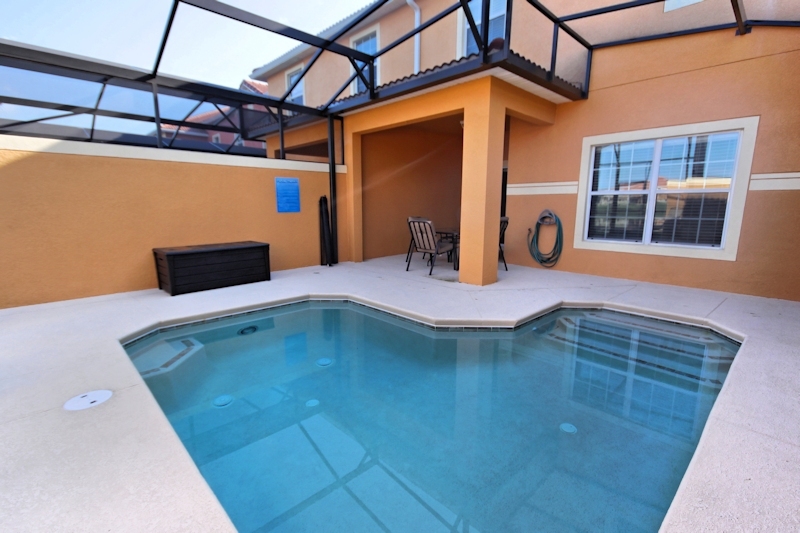 Beyond the living room you can sit back and relax at your own private splash pool while enjoying a spectacular lake view. 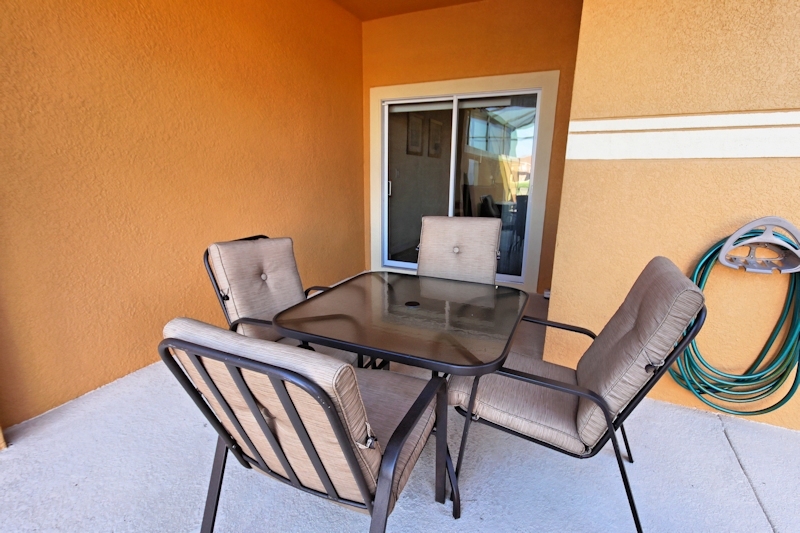 You can enjoy that meal out there, bask in the sun or gaze at the stars. 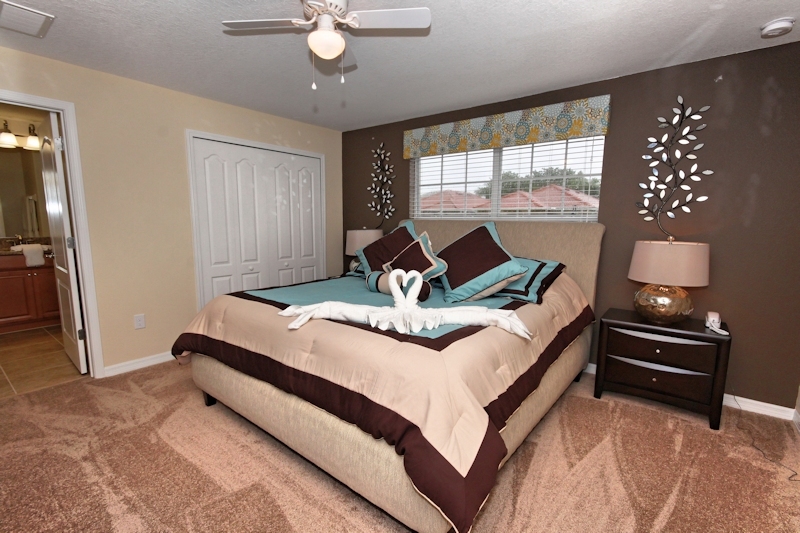 Also on the first floor is one king master bedroom with a full bathroom just outside the door. 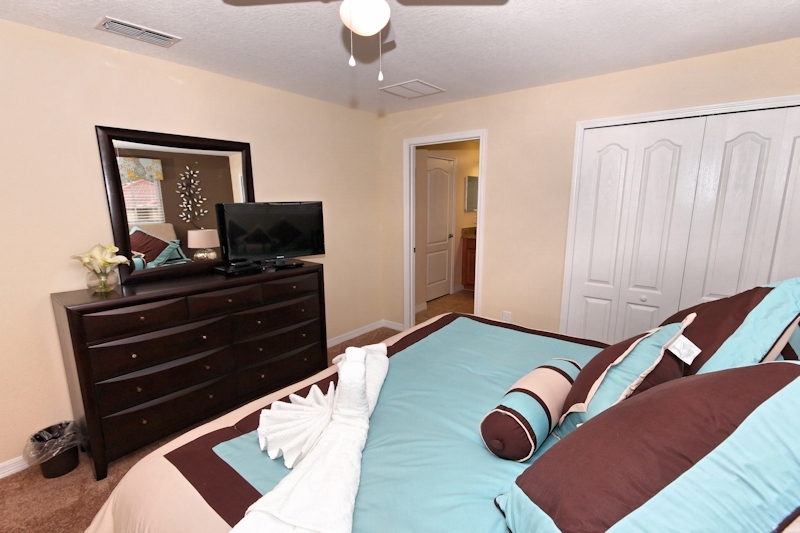 The second floor features one king master with a full ensuite, and two additional bedrooms, one with two full beds and one with two twin beds. 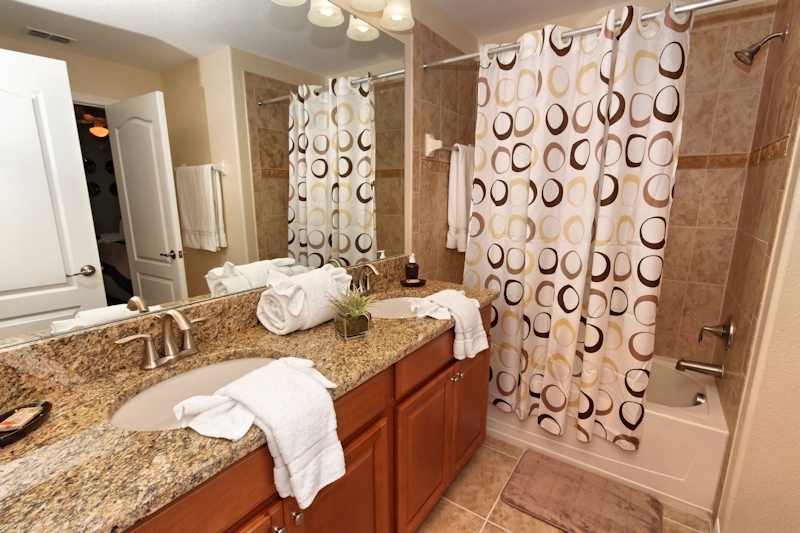 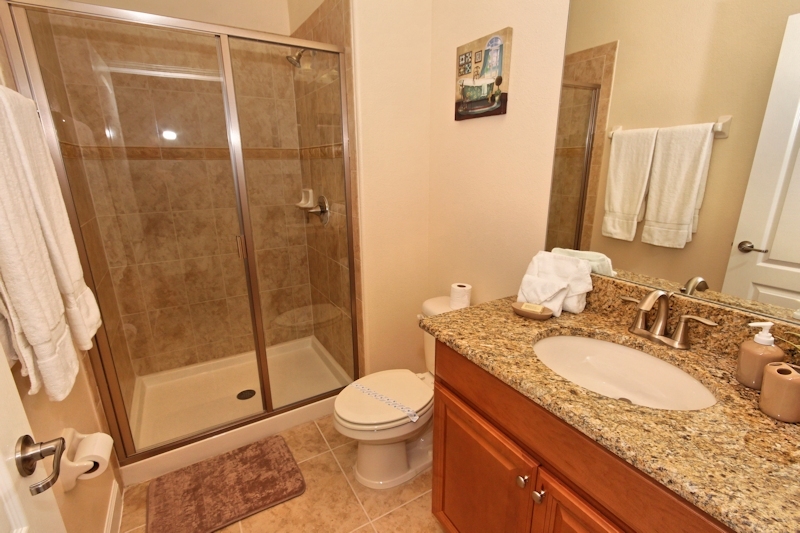 There is an additional full bathroom on the second floor, and all bedrooms have flat screen TV's. 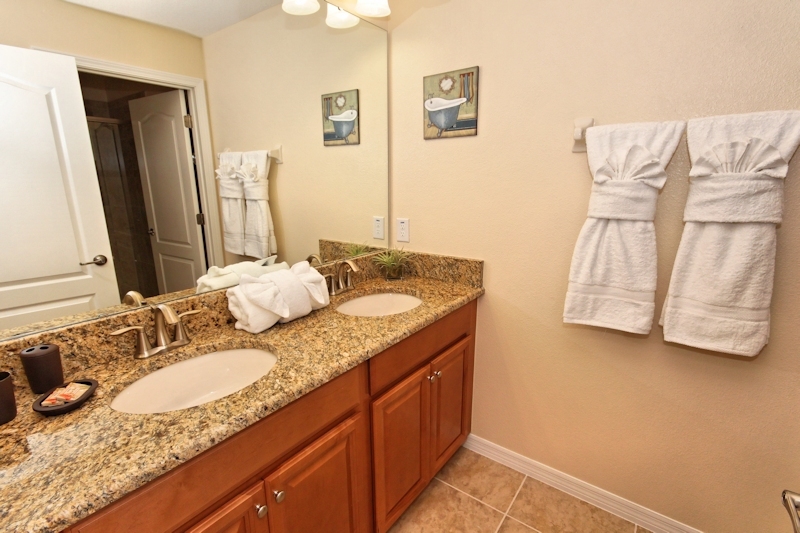 Also on the second floor is a private laundry room with all new washer and dryer and ironing equipment. 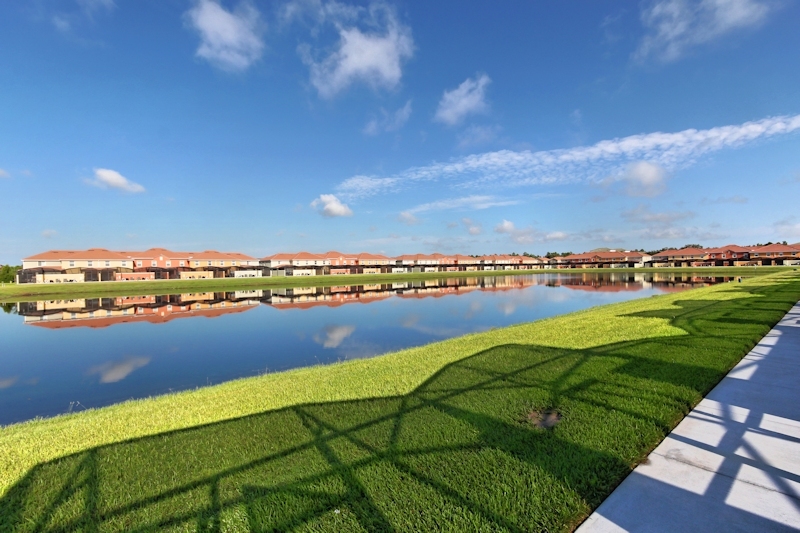 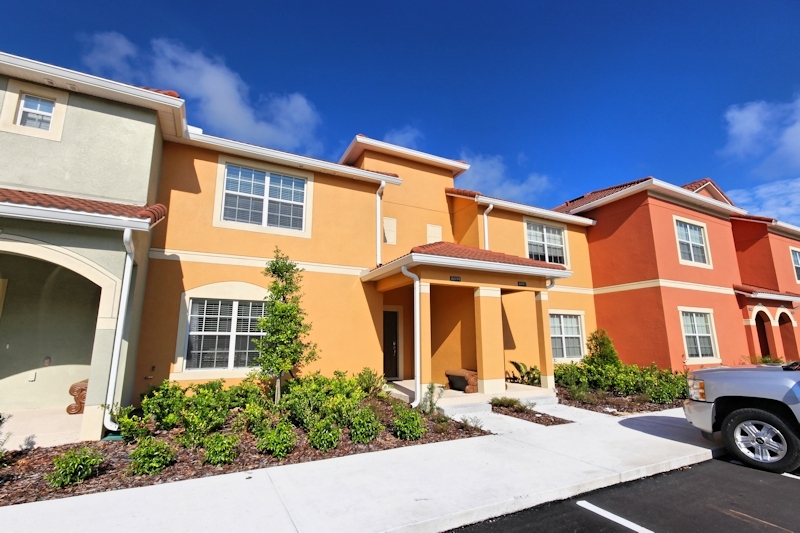 Whether you are looking to relax in the warm Florida sun, enjoy a playful game of tennis, bocci ball, basketball or even fishing, you will be able to find it at Paradise Palms.